The Purpose led business school educates and creates an eco-system in which leaders can develop the systems and structures that will catalyze the growth of their business. The school is designed for purpose led business leaders with revenue between $100K to $1M and is comprised of 6 learning modules. To build a purpose led business from the inside out, you need to start from a solid understanding of your personal purpose and values. As the business grows, this centre becomes the magnet to attract other like-minded people who have beliefs that are aligned to both you and your business. As the team grows, how do you know when the alignment is present and when the flow stops? How do you communicate your beliefs and the businesses purpose and values? In this two day retreat you will create clarity about your personal purpose and how to create alignment and leverage with the businesses purpose. The magic in business comes from doing something that’s so natural to you that you don’t even see it as something special. Eventually your business starts to behave the same way, doing something very natural to its essence. This essence provides an opportunity to understand the assets in your business that are not on your financial statement and how you leverage them into a much greater value business. 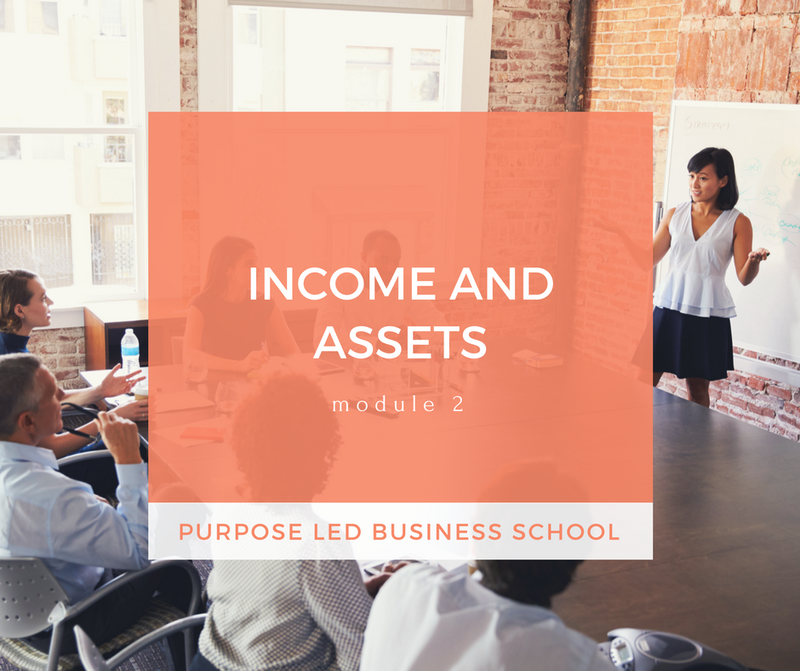 In this one day module, you will clarify the core asset in you business and identify how to focus and expand your business model from that foundation. You will understand your 'enough number' and how the grow the value of your business. Take a deep dive into defining what prosperity means to you and how to create it in yourself and your business from the inside out during this 2 day retreat. Understand your level of consciousness and money habits and gain insight into the beliefs that get in the way of you creating the successful, profitable business you dreamed of. Learn how to set up the money systems and structures that align with your purpose. The challenge with the concept of culture is how to make something so seemingly etherial into a tangible asset system in the business? Here's a secret - the magic ingredient in purpose led businesses is people. In this two day module, you will learn how to consciously shape your culture and integrate your brand values into the business while expressing your culture externally in order to attract the right customers and partners. Here’s where the rubber hits the road: creating your revenue systems based on your foundation of beliefs. In this one day module, you will design commercial revenue systems that are a full expression of your purpose. Growth can be an exciting and scary possibility for businesses. It is fraught with choices around the pace, how to not implode under fast growth, and how to keep the energy aligned during growth. What if you knew the formula for the choosing your growth path? In this two day module, you will learn how to build the appropriate business infrastructure system for your business that includes accurately evaluating capacity, identifying the right person for the right job, and ensuring the behaviour of self-responsibility.